What is an Intelligent City? The changing face of society has been buried under a landslide of information that is often meaningless. Labels like ‘generation X’, ‘generation Y’, and ‘baby boomers’ don’t describe our desires or explain how and why we behave as complex human beings, let alone as workers, consumers, and homemakers. 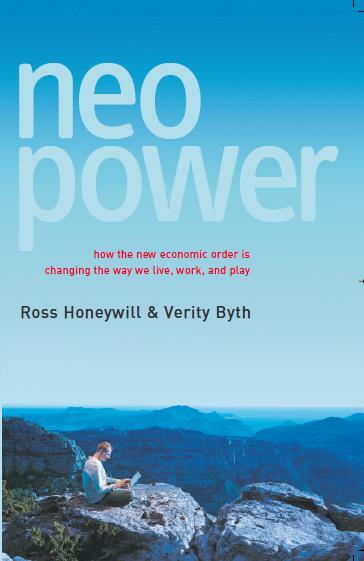 To find a solution to this problem, Ross Honeywill and Verity Byth spent seven years surveying hundreds of thousands of respondents, and examined more than 2000 social and behavioural characteristics. They discovered no less than a revolutionary breed that is charting a new course and reinventing the world. Known as the New Economic Order, or NEO, they are better educated, vote for economic leadership but insist on progressive social views, like sport but love the arts, dominate the Internet, believe food is a celebration of the day, earn more, spend more and demand more from just about everyone. As workers, they need to be stimulated and challenged, in flexible workspaces where they deal with challenges, make meaningful relationships, and share ideas and experiences. As consumers, they love authenticity, change, technology, and luxury, and revel in a world of rich information and ‘whispered secrets’. This landmark book reveals startling evidence of how 4 million Australians, 6 million Canadians, 12 million Britons and 59 million Americans are transforming the social and political landscape around us. It provides a new social compass that makes immediate sense of a confused world by using, for the first time, a bedrock of vast consumer research that identifies the fascinating and revolutionary changes occurring in society changes that will make a difference to every reader.